Herndon, VA – August 21, 2017 – Privia LLC, a leading provider of software and services that help federal contractors bid and win contracts, is pleased to announce that Mr. James (“Jay”) McConville has joined the company as President and Chief Executive Officer. 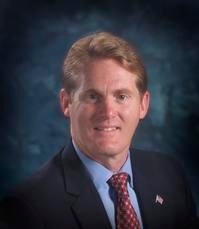 Mr. McConville has over twenty years’ experience in the Federal Business Sector, and is the former President and CEO of Aeromech Engineering, Inc. (AME) and Executive Vice President with Chandler/May, Inc., both acquired by Lockheed Martin Corporation in 2012. He has also served in senior Business Development and Operations positions at Lockheed Martin, General Dynamics, and ManTech International. Jay is the Founder of Emerald Collaborative Partners, LLC, a strategy, advocacy and business development consultancy dedicated to helping organizations, like Privia, reach their business and policy objectives. Privia provides products and services that help organizations streamline the entire bid, capture and proposal process— from pipeline management and reporting to teammate and on-line collaboration and proposal development. With delivery in days and at a fraction of the cost, leading organizations in the federal sector are streamlining processes to save time and money, while increasing quality, in proposal writing, past performance management, resume organization and collaborative proposal review. For further information, visit http://www.privia.com.